Because ZetaTalk was correct in saying that the polls were rigged to show a Clinton victory, so that the anticipated rigged election would seem correct to the public, and ZetaTalk was correct in saying that Dunford and the Council of Worlds would work to prevent the Clinton crime family from succeeding, I and the Zetas have been deluged with hundreds of questions asking, essentially, “what’s next?” These questions were all declined as they were either 1. idle curiosity or 2. matters in the hands of man or 3. already answered if one merely looks into Trump’s campaign speeches for the answers. The Zetas are not here to hold your hand when you have a niggle of curiosity, nor do they speak for the Council of Worlds. In addition, the phenomenal success on election night was due in great part to I, Nancy, and the public being very much in the dark on what was about to take place. As I frequently say, “your curiosity is not the most important thing”. It is more important to surprise the bad guys, to not clue them in. This statement is not always well received by the confused public, who were misled by the rigged polls and cooperative media. So, we know that the Zeta's assisted in getting the Election to Trump and the criminal Clinton family out of the White House by guarding from fraud. The Clintons sent 1.8 Billion Dollars to Qatar and intended to flee, if they would loose and be prosecuted. Now German TV is telling that Trump is rowing back with a prosecution of the Clintons. Trumps victory speech was so soft and had nothing to do with his rallies. 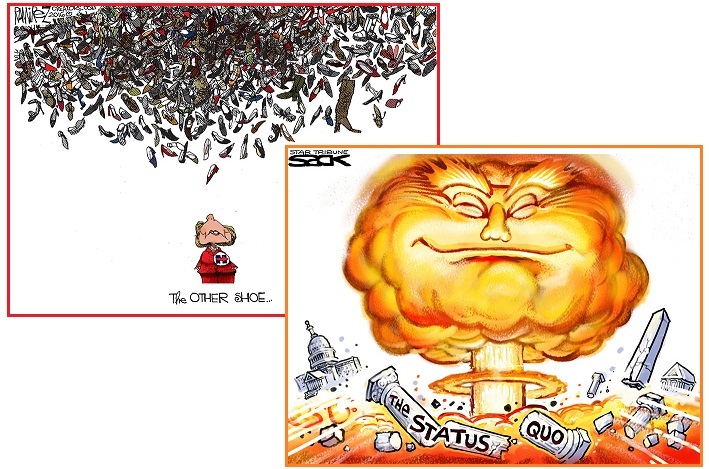 Rioting emerged in different US states. Where are the dots? It is very hard to combine. Would the Zetas care to comment? With lots of energy and time spent on elections and Clinton gone and Trump won the election, my questions are: Is something going to happen from now to January 20th 2017 which will call for Martial Law by Obama and delay the Oval office transition? What is the ultimate message/meaning given by the Council of Worlds by making Trump the President? Now that the election has been decided, and Hillary will not be our next President, would it be possible to learn what transpired in those last weeks with Comey and the relook at the e-mail issue? And, was President Obama being "pressured" with his daughter's lives (or well being) that caused him to make some of the choices he has made (one in particular the North Dakota pipeline and his comment to wait a few weeks and see what happens). And, does Trump signal hope for the populace of the USA? And, will Bill, Hillary and the Bush family be prosecuted openly so all can see? I know this is a lot, and that there are many individuals out there wondering the same and more. It would be greatly appreciated if the Zetas would take time to comment. I can't believe you are not going to answer any of the question posted on the elections. It's getting harder to believe any of this is real. Or if what you are is truly relating from Zetas is correct. Nothing new has changed. I am relieved that Trump won. I believe in the coming of Nibiru. But you hold back when people need answers to why everything happens the way it happens. We should have the right to know. I don't expect my hand to be held along the way to what's coming. “Declined?” Really? I am not applying for a credit loan — and if I were I certainly would not be declined! All I was asking was a simple question that you should have known without having to ask any Zetas. Now I’m beginning to wonder just how authentic you are. And, after a quick mental analysis, since you “declined” me so severely and suddenly, I can only conclude you are a fraud. Wall Street: It was assumed, because of Hillary’s frequent well-paid speeches to Goldman Sachs and other Wall Street functionaries, and because of her close association with Hedge Fund managers, that Wall Street would be devastated. George Soros, a staunch Hillary backer, is a Hedge Fund billionaire, and Chelsea’s husband is a Hedge Fund manager. Can the Zetas explain what went on with international markets as it became clear Trump would win, through the end of today? Was it just the Plunge Protection measures that have been in place since 2008? It seems odd it would freefall last night and then be up 200 points today. As the Zeta's were proven right a bunch lately. What will happen to Hillary if it is not divulging the battle afoot? As a humble wealthy civilian still facing four different FBI investigations with no one rich now backing her and her loyal network CNN reporting about the booing and chants of stock brokers at the NYSE as she conceded. 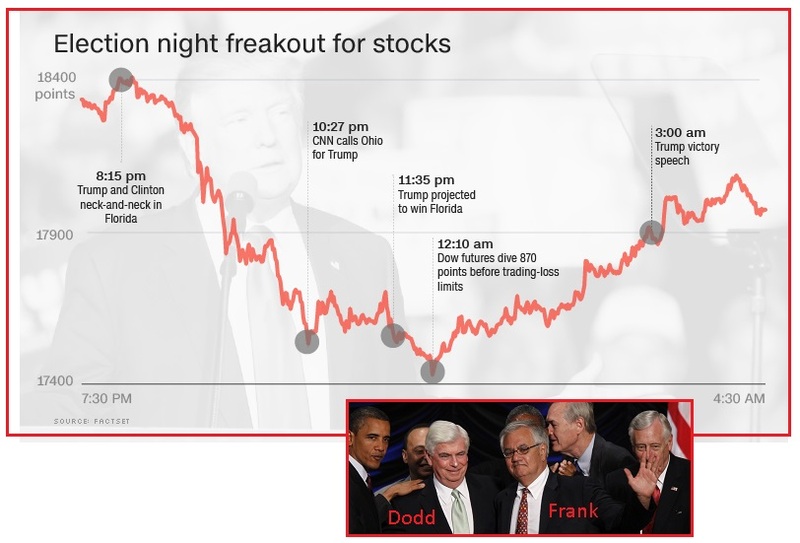 But it should be no surprise that a rapid rebound of a momentary drop in the DOW after Hillary’s loss occurred, given that Trump has made it known that he intends to reverse many anti-banking regulations such as Dodd-Frank. If Hillary hopes to make the metamorphosis from public to private sector with some new function on Wall Street, she may encounter stiff resistance from the locals. During her one-day delayed concession speech to Donald Trump, the New York Stock Exchange floor was rocked by loud booing as traders expressed their true feelings for the former presidential candidate. The market offered a much warmer welcome on Wednesday for Trump. Shaking off panic selling that rocked global markets overnight, U.S. stocks opened violently higher, and the Dow has soared over 1,000 points from its overnight lows, just shy of its all-time highs. Many Republicans hate the 2,300-page law, saying it is layered with far too many regulations. But Democrats say it provides valuable oversight of an industry that they believe took too many risks on Wall Street and too much advantage of customers on Main Street. Russia: During the campaign, Trump made it clear that he expected other nations to foot the bill for their protection, citing Japan and NATO as relics of World War II. Hillary repeatedly blamed Russia for the Wikileaks and for the Podesta email leaks. With the Trump victory, a repeat of the Cold War with Russia, or even war with Russia, has been avoided. I had some hopes about the announcement to be made before USA elections 2016. Now, The Council of Worlds did not find necessary to push any Earth change in order to stop elections, Trump is the flamboyant president of United States and my question is, as usual, related to what we can expect with regards to the Announcement now. Is Trump the person who, with Putin and other world leaders, will make the Announcement? I understand that he is pro-announcement so this will be on his shoulders now as Obama has failed in this issue as his personal option. Russian soldiers fear that they no longer will have a nuclear war which from the Zeta's statements seems to be more a fear of Clinton winning. It could be assumed thus, as many in Russia are assuming, that the George Soros push for NATO to start a war with Russia along the East European borders would now be resisted. America is seen as an aggressor that uses its military and soft power to promote regime change across the globe. 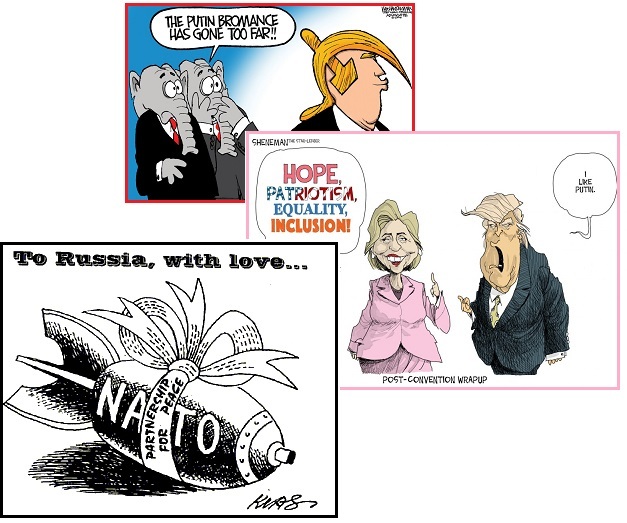 Hillary Clinton was portrayed as a dangerous candidate who favored foreign interventions in the name of democracy while Trump was described as a bulwark against a possible war with the United States. Announcement: Will what the Zetas have described as a multi-pronged announcement via astronomers suddenly take a great leap forward? In particular, since Putin was originally on the team with Xi to confirm the announcement when Obama planned to make it, way back in 2012, will Trump and Putin now manage to do the deed? If Trump, being the Puppet Master's ace in the hole will announce Nibiru at some point, what does that mean for battle? Can the Zetas give us an update on the announcement? Is the Dark Energy Survey about to announce their "discovery" ala Nibiru or are there still a few "nudges" to come? After the discovery of the dwarf planet 2014 UZ224 in October, the Zetas said "we're getting closer to the discovery of Nibiru. It will not be long now." That was a month ago. Is the announcement coming or not? It's been one agonizing wait! With lots of energy and time spent on elections and Clinton gone and Trump winning the election, my questions are: Will Trump tell the truth about Planet X? Will the Council of Worlds wait as they did with Obama to tell the truth about Planet X if Trump wants to wait? There was time we thought the truth will be out and not blinded by the system. People will be sharing information and helping each other but now it just seems like it is not happening. Just like in days of Moses we need to wait till the end (9 of 10). Over the last year and a half the Zeta's have explained that Trump was only in the election race to keep the Clintons and Bush families from re-gaining the White House. That he really didn't want to be president. He has had to take the race to the finish line to beat Hillary. Now that he is elected to be the next POTUS, can the Zeta's share anything on what role he will now play in getting the announcement out? Do the Zetas predict a Dunford-Trump relationship similar to the current Dunford-Obama relationship, mainly that of cooperation and acceptance by Trump that Dunford is in charge and he is the spokesperson who must okay his moves with Dunford, or will Trump try to be in charge or go off-script too much and cause a good deal of trouble, such as bungling many things related to Nibiru? SomeOnesBones, a site given to disinformation mixed with fact, predicted that Trump would announce Nibiru during his acceptance speech. While it is true that Hillary is part of the cover-up cabal, Trump is obviously not that rash. An inside source with close ties to the Trump campaign provided shocking information as to Donald Trump’s plans for election night. If he wins the election, Trump will reveal the existence of Nibiru—said to be a brown dwarf star and seven planets on a near-collision course with Earth —during his victory speech. Hillary Clinton, on the other hand, belongs to a cabal devoted to concealing the truth about Nibiru until the last possible moment, in hopes that she and her elitist friends can weather the storm in underground bunkers and rise to build the world anew once the dust settles. 7 of 10: It was clear that the Earth changes were not going to be used to halt the 2016 election. As noted in last week’s Newsletter, they all seemed to calm down in the two weeks ahead of the election. I want to ask the Zetas a couple questions. With the elections finally out of the way, and Trump securing a victory, should we expect severe Earth changes to occur and soon? The Council of Worlds finally proceeding with the 7 of 10 events? Last year, The Zetas said the 7 of 10 changes are likely to complete in 2016. Are we to expect all 7 of 10 events to come at us before 2017? We've been recently informed by the Zetas that there is no longer going to be a sequence of events but an overlap. What will the Council of Worlds do next to convey the message about Planet X as they stopped the natural process of 7 of 10 movement? The Zetas have revealed Trump's real intention about running for president. Now that Trump is president we know he'll be under the direction of General Dunford. Earth changes are overdue. Is Trump aware of the threat and what of his spiritual orientation? Is he inclined to work with Dunford? Now that the question of who will be in the White House has been settled, Earth changes do indeed seem to be picking up again. 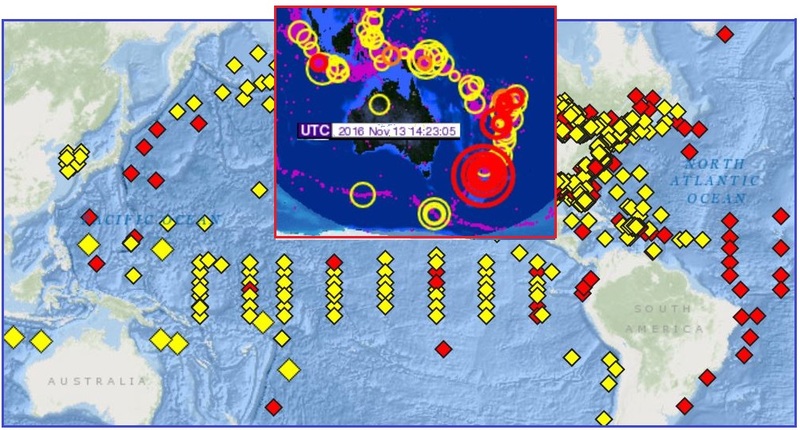 On November 13 a massive 7.8 quake in New Zealand on what the Zetas call the “brake” plate, the Indo-Australian Plate, occurred. Unlike after most quakes in the last couple years, the buoys even responded. 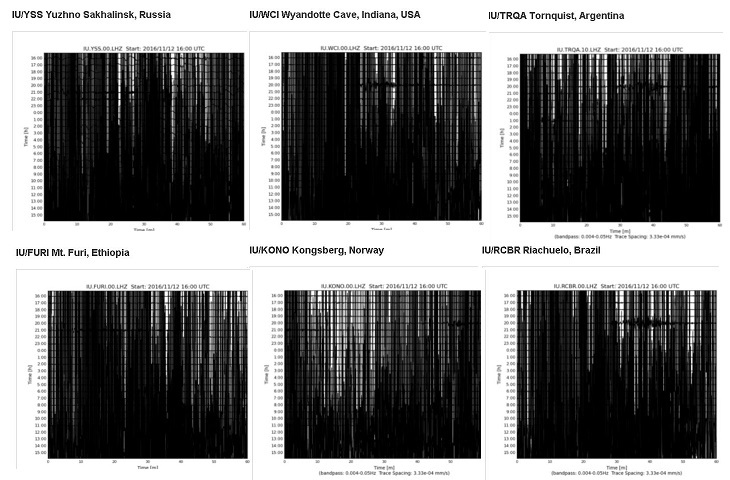 The buoys had been desensitized, and even turned off in the most active regions on the globe, such as near Japan and between S America and Africa where the dual rolls would show up as turmoil in the mid-Atlantic, and the quake magnitudes were down-graded. This quake in New Zealand was certainly closer to a magnitude 10, and the brake has been lifted. For the first time in years, the seismographs showed the Earth “ringing like a bell” too. These too had been desensitized to make them match the diminished earthquake reports. In describing the Indo-Australian Plate as the brake, the Zetas have said that when the brake lifts, then all the other plates around the world move in a domino fashion. Matters can be expected to pick up! Soros Riots: George Soros, per the Zetas, considers himself akin to God in his ability to play the planet, and very much wanted Hillary to win. Does he have more mischief to play? Anti-Trump protests and riots are erupting across the US. 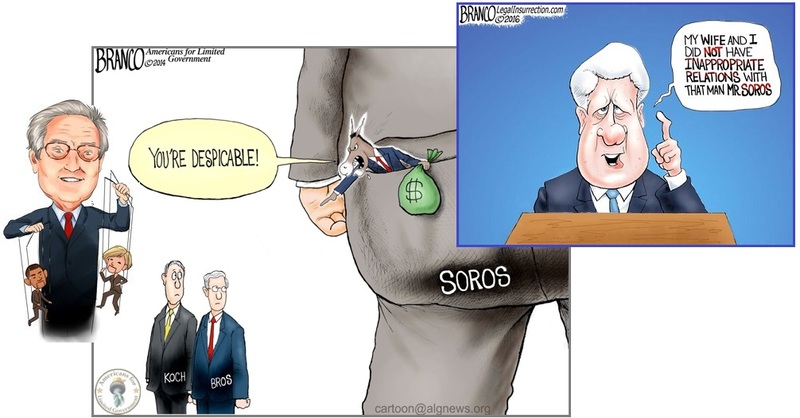 Is George Soros trying to incite a civil-war? What about Hillary? Is she enraged that she's lost? She didn't expect to lose, right? Can the Zetas tell us if Donald Trump is in any physical danger or if he will he be harmed before he can make it into the White House? The extremist vitriol, the media propaganda, the divisive nature of the atmosphere nowadays and the pure evil of George Soros and company, really makes me wonder if there will not be an attempt on his life, before the Electoral College meets. My questions are: are the elites planning such a move against Trump and would they be successful if they did? Might Soros try to get the Electoral College to vote Hillary in? Per the Zetas, this will not happen. Where Clinton won the popular vote by more than half a million votes, this included an estimated 3 million illegal immigrant votes for Hillary. In truth, Trump won. The electoral votes were Trump 306 to Clinton’s 232. He won from coast to coast. This was not a regional blip. Clinton is projected to win the popular vote. If she does, the 2016 presidential election would be the fifth election since 1804 in which the winner of the popular vote did not become president (after the elections of 1824, 1876, 1888, and 2000). ZetaTalk Opinion 11/12/2016: The electoral college has never gone against the vote, and is not about to do so for a bribe from Soros. All eyes would be on the electors that went against the law. The tide has clearly changed against such corruption, and this is obvious. The US and in fact the world is stunned that the intended election fraud was thoroughly countered, in every state, despite the obvious poll fraud. Those who would entertain taking a bribe to break the law would be highly nervous. This situation is also not without precedence, as the 2000 Presidential election likewise went against the popular vote. Hillary pulled in the vote advantage in highly populated states like New York, where she was a senator. This does not reflect the mood or choice of the rest of the nation, which is obvious from the size of Trump’s rallies and the intense Republican turnout. Soros of course is still interested in having Martial Law called in the US as soon as possible, because he assumes the elite would be protected by the military. Thus he may try to incite riots, pay for this, but this flurry will pass and not succeed. The US survived the Soros incited race riots this past year. This too will pass. From the N Pole, where pinging and humming are driving wildlife away in the straits off Baffin Island, to the S Pole, where John Kerry decided to take a hike, the poles have been in the news lately. Per the Zetas, the Baffin Island hum is due to one of the humming boxes placed around the globe by the Council of Worlds, to slow down the 7 of 10 plate movements until the populace can be informed about the pending passage of Nibiru. In the tiny Arctic hamlet of Igloolik, Nunavut, hunters say a mysterious sound, seemingly coming from the bottom of the sea, is driving wildlife away. In 2014, a public summary of an as-yet unpublished government report on that strange hum stated that its origin could not be established. People in Canada's Arctic are straining for an explanation for a mysterious sound detected off Baffin Island. 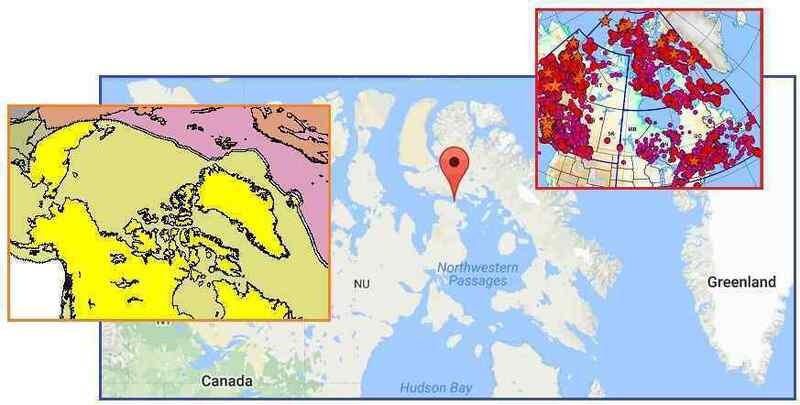 CBC News reports says local hunters, from the nearby community of Igloolik, describe the sound as a "ping" or "hum," apparently coming from the sea floor in the Fury and Hecla Strait, a narrow waterway that separates northern Baffin Island from mainland Nunavut. ZetaTalk Confirmation 11/12/2016: These sounds are coming from some of the humming boxes, working overtime to keep the N America Plate from slipping into the New Madrid adjustments we have so long predicted. As we have stated, the Council of Worlds has the brake on many plate movements at this time, holding back what would naturally have occurred had these brakes not been applied. Where these straits to the south of Baffin island do not appear to be on a fault line, the fault line is implied by the straits themselves. This indicates a weak point in the crust, ripped in the past. Per the Zetas, Kerry’s trip to Antarctica had a human motive, to lay claim to some of the Antarctic territory! 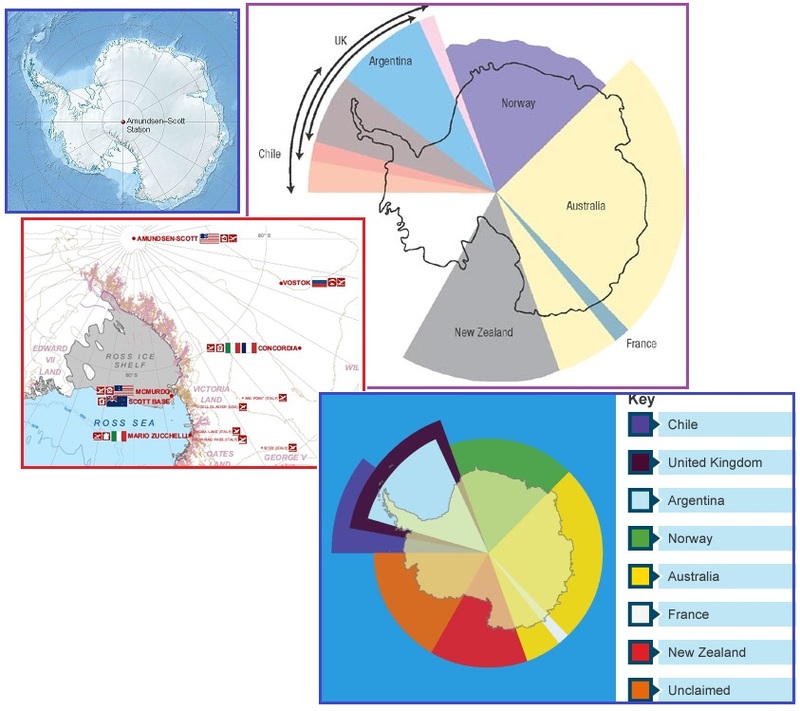 Yes, Antarctica is supposedly under an international treaty, preventing any more land grabs, and yes, much of the pie slices already claimed in Antarctica are overlapping and a source of contention, but there is a big piece supposedly “unclaimed”. Not anymore! 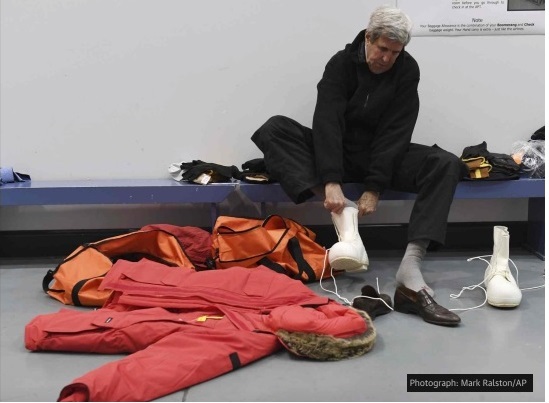 Kerry will depart Washington on November 7 and will arrive at McMurdo Station in Antarctica on November 10. From there he will travel to the U.S. research station at the South Pole. Department spokesman John Kirby denied that Kerry's travels were timed to keep him out of the country during the November 8 vote. ZetaTalk Confirmation 11/12/2016: Last February the Russian Orthodox Patriarch Kirill visited Antarctic, and per photos chatted with penguins. Now the US Secretary of State John Kerry is traveling there, leaving on November 7, the day before the elections, and returning days after. Supposedly this visit is to publicize climate change, but there is another agenda. The continent of Antarctic is expected to be prime real estate in the Aftertime - right on the new Equator, with a fresh water lake under the ice. There is one unclaimed slice of Antarctica, and the US research station sits right on it. Kerry has gone to plant the US flag and claim this pie slice!